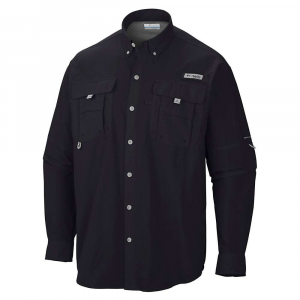 Tough shirt made of heavy gauge nylon. 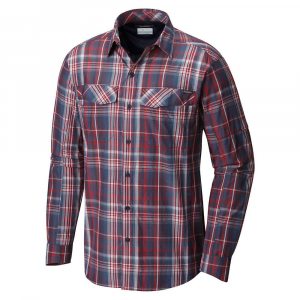 The main point of interest in this shirt, and the reason I am reviewing it, is the heavy gauge material from which it is made. 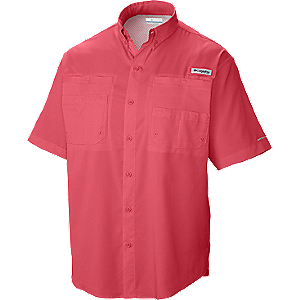 Most nylon (polyamide) shirts are flimsy things designed for comfort in hot weather rather than toughness. This shirt is the precise opposite. To give you an idea, my size medium weighs 309g (10.9z) when the average shirt weighs less than 250g (8.8oz). 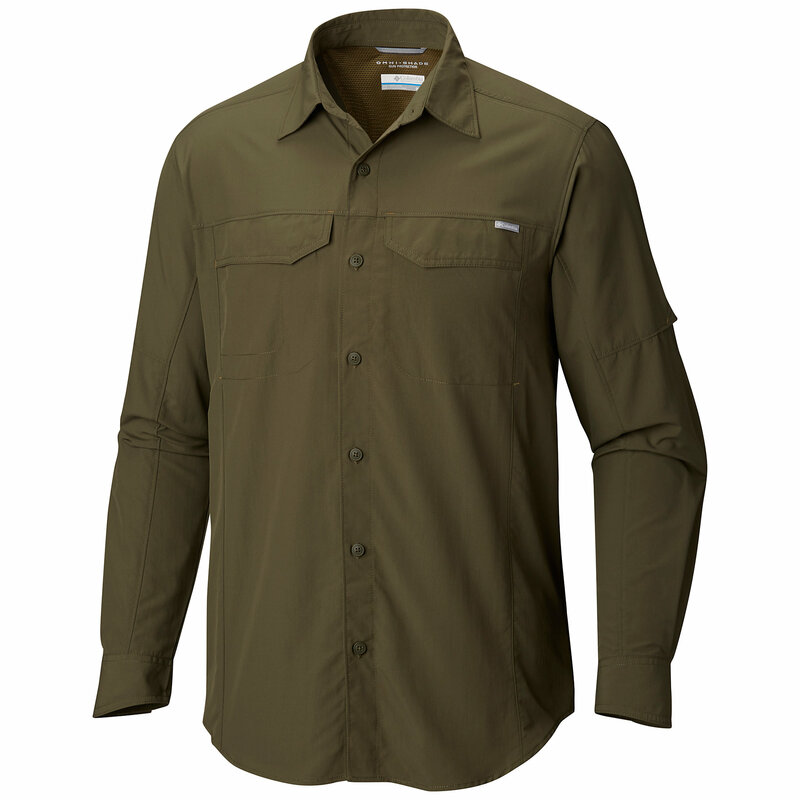 If you need a heavy duty nylon shirt for whatever reason—for instance, a shirt that can resist contact with dense vegetation while still being quick-drying—this one is worth considering. 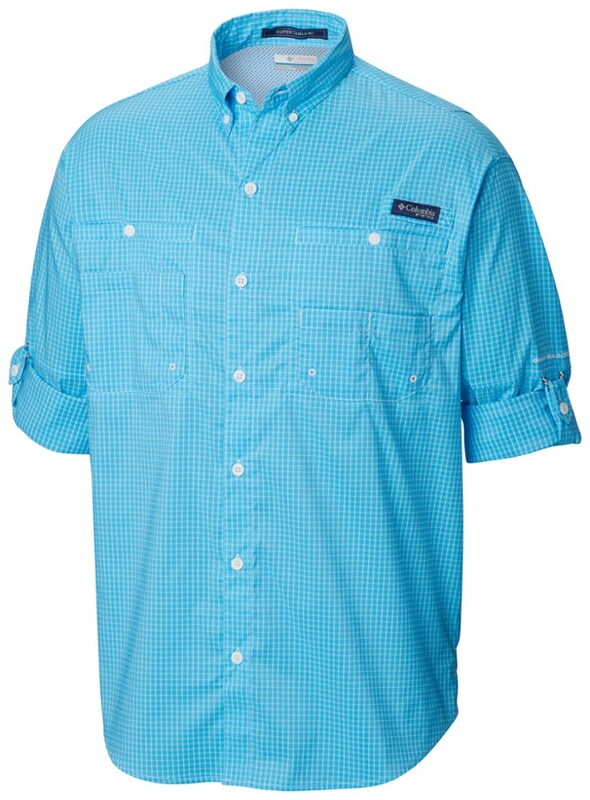 Like most nylon shirts, this one is vented across the back and has a mesh lining on the upper back. It also has a solar collar extension and button-up tabs on the sleeves. 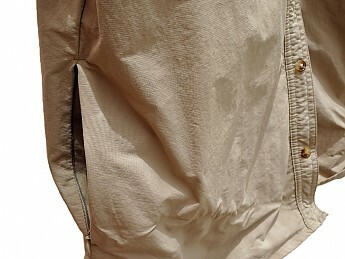 It has three pockets: two buttoned chest pockets and a zipped security pocket on the right side, just above the hem. The zipped pocket becomes inaccessible if you wear the shirt tucked into your trousers. As regards fit, I find the neck to be positioned slightly too far back. If you were to button up the collar it would press against your Adam’s apple while standing free from the back of your neck. Of course a shirt like this is only likely to be worn open-necked, and in this case the fit of the collar is not a problem. Otherwise my medium is a good fit. 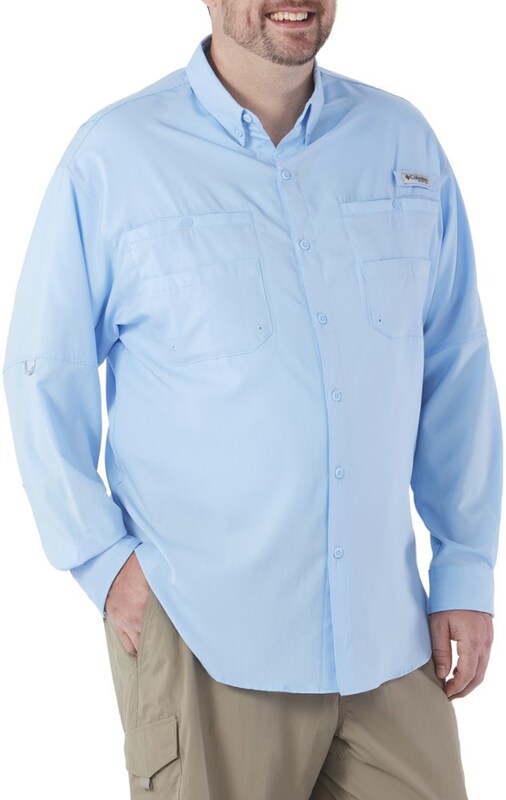 By comparison with the Craghoppers NosiLife Adventure shirt, which I reviewed some months ago, the Peter Storm shirt is slightly wider at the shoulders but a little shorter in the sleeves. 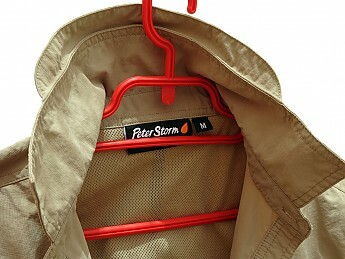 I am 6' 1" and I find the sleeve length of the Peter Storm shirt adequate for a hiking shirt, but I wouldn’t recommend it to anyone taller than I am. The shirt dries quickly in spite of its weight. I air-dried it together with my Craghoppers NosiLife Adventure shirt after machine-washing both, and I found that they dried equally fast. I was surprised by this given that the Craghoppers shirt is made of much lighter material. As for durability, I wore my Peter Storm shirt every day during a recent eight-day trek in Scotland. I washed it when I could, and on two occasions I tumble-dried it (on a gentle setting) even though the instructions say you shouldn’t. The shirt came through with flying colours and looks no worse for the wear. Not bad for a garment which costs all of £25 (about $32) at the time of writing. Thanks for the helpful review, Charles, and for bringing this outdoor brand to our attention. Always a pleasure to give something back. 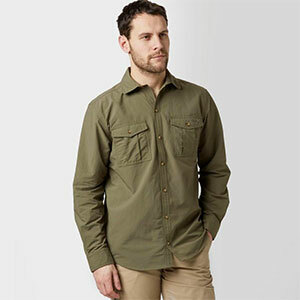 The Peter Storm Long Sleeve Travel Shirt is not available from the stores we monitor.